Diogenes' Middle Finger: Press 1 for Spanish, Press 2 for English. Press 1 for Spanish, Press 2 for English. 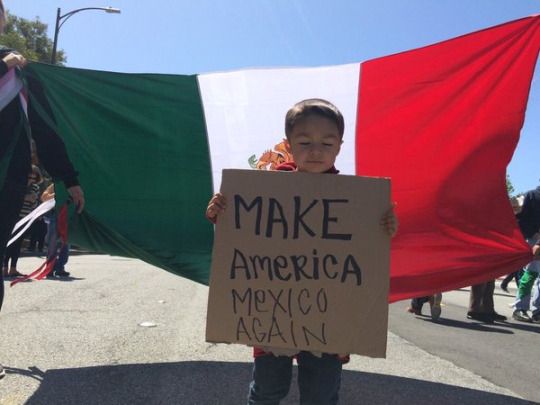 They are taught to believe the US stole Mexican land. It's called the Reconquista. They believe in a fairytale of a magical Aztecan land called Aztlan. They've been pumped full of this garbage by a fascist named Jose Vasconcelos who was in charge of culture and education after the revolution. Vasconcelos called for the extermination of Anglos and capitalism. Their goal is to populate the SW states, drain the US of its resources through welfare, and then reclaim it for Mexico through violent uprising. Kids, wearing sombreros and ironically holding signs reading “No hate,” screamed “F*ck you!” repeatedly at the passing motorists. One of the children in the center of the action can be seen holding a Bernie Sanders sign. Obama has budgeted $17,613 for each of the estimated 75,000 Central American teens expected to illegally cross into the United States this year, $2,841 more than the average annual Social Security retirement benefit, according to a new report.